Do you want 50% off on your next purchase at SheInside.com? It’s as easy as 1-2-3. Want to know how? Keep calm and read on…SheInside is rewarding it’s fans for spreading the word about them and they’re giving out 50% off coupon code if you are able to deliver what’s required of you. I’m very sure you have a Facebook account and you have lots of girl friends and female relatives there who, like you, loves to shop for pretty clothes and accessories. You wouldn't be friends with them if they aren’t as fashion forward as you, would you? LOL! If you don’t have a SheInside account yet, you can register here: SIGN ME UP at SheInside! 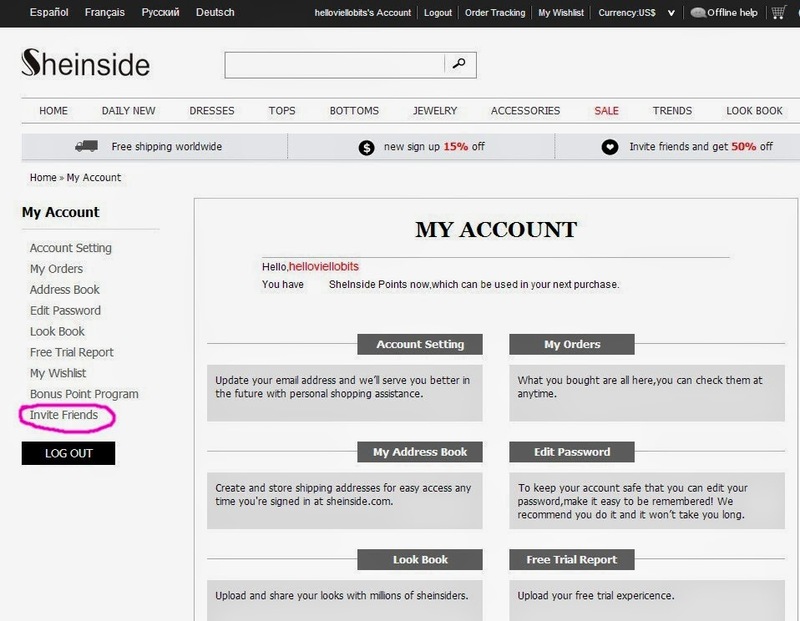 Once you are registered or if you already have a SheInside account, just log in and go to the: INVITE FRIENDS tab which is left side pane of the website. 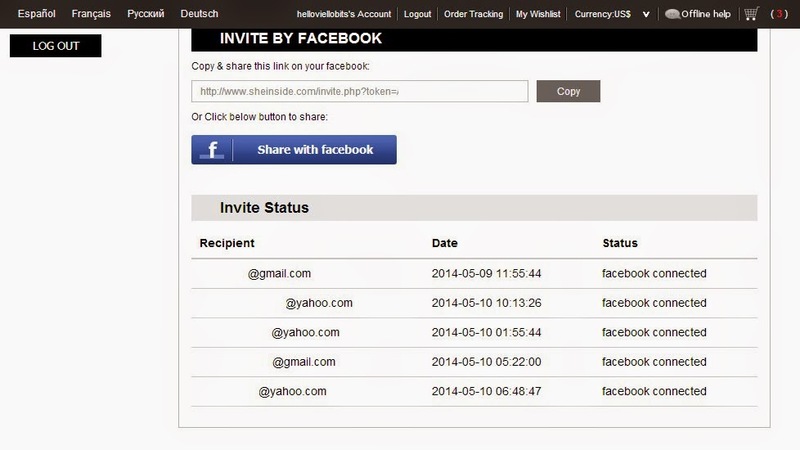 Then copy and share your unique link on your Facebook; and if you want you can share them also on your other social media accounts. And that’s it! 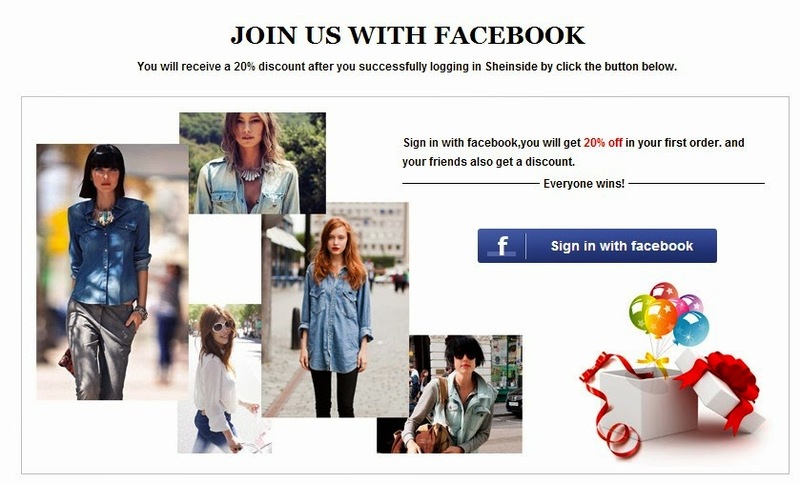 Not only that they are now registered to SheInside.com, they will now enjoy 20% discount on their first purchase by using the coupon code that appeared on the pop-up window during registration via Facebook. SO HOW DO YOU USE THE COUPON CODE? For your friends who registered/signed up via Facebook a coupon code after successful registration will be given, pay attention to the pop up message because it is written there and make sure to take note of that. 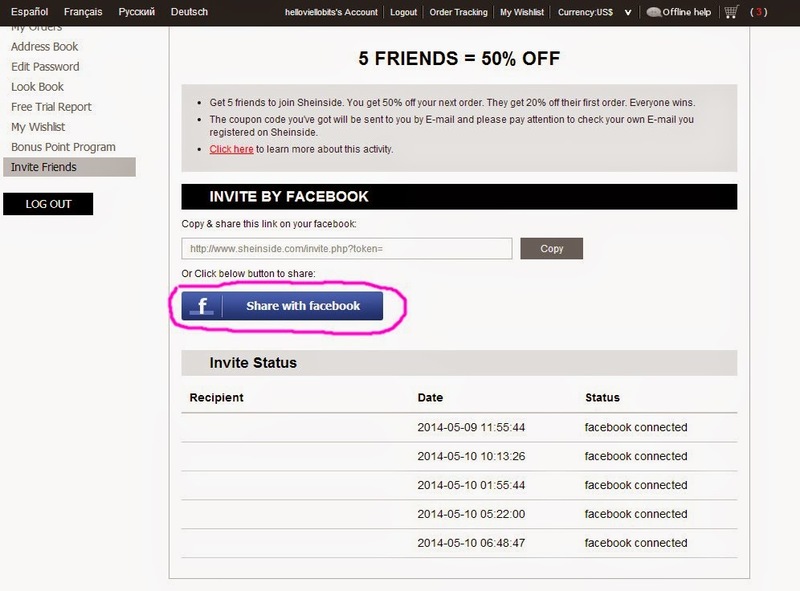 The coupon code is not applied automatically, that’s why I said you should take note of that. 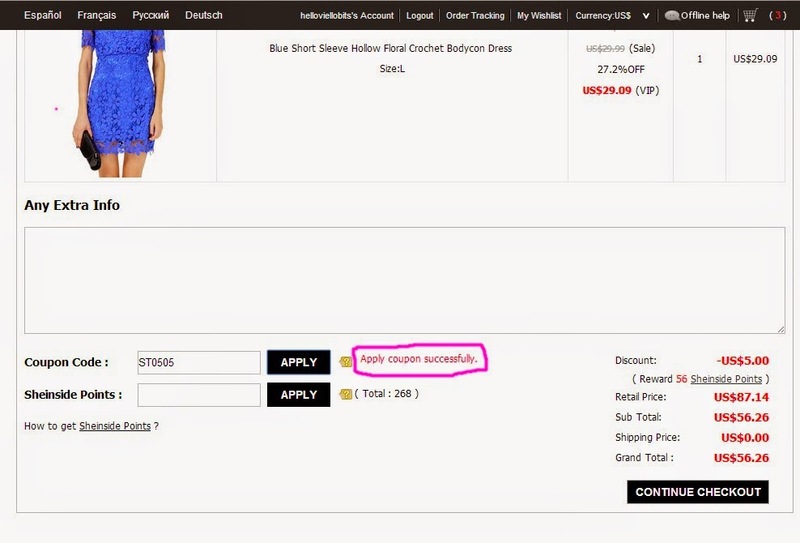 Once you’re done with your order and you’re in the check-out window and before settling your payment, enter the coupon code in the text field then click apply. Then once the discount has been applied that’s time you can proceed with the payment. 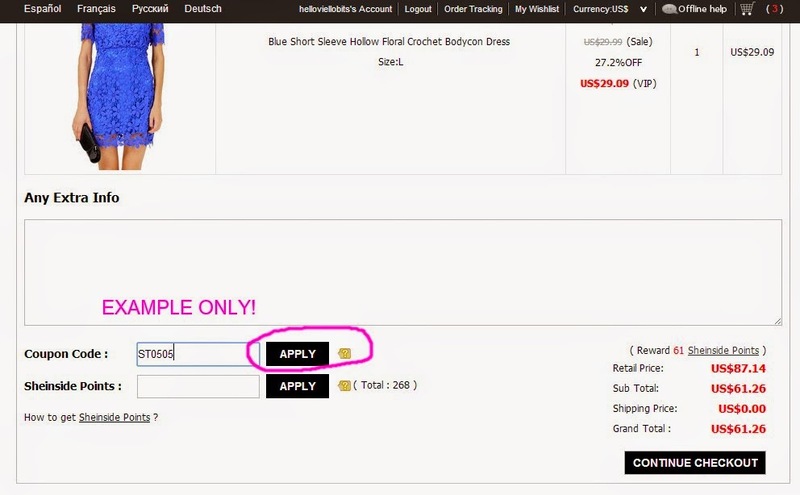 If ever you’ll encounter any trouble locating your coupon code, try checking your spam box or your Facebook email/ messages or better yet contact SheInside through online help or through email: sales@sheinside.com. 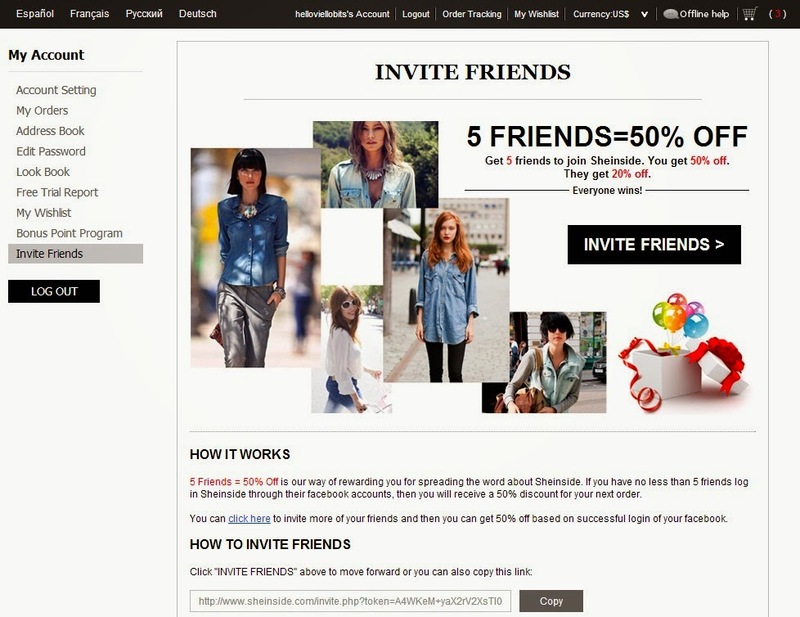 5 Friends = 50% Off is our way of rewarding you for spreading the word about Sheinside. 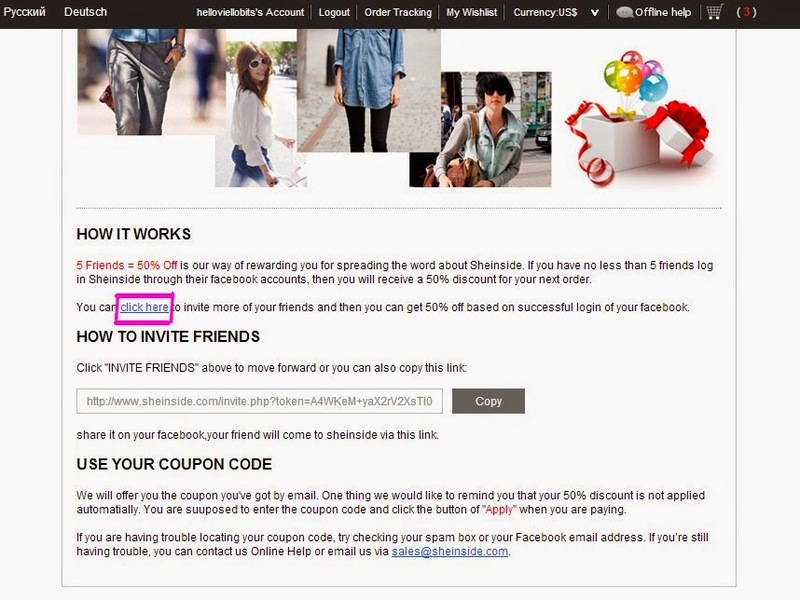 If you have no less than 5 friends log in Sheinside through their facebook accounts, then you will receive a 50% discount for your next order. 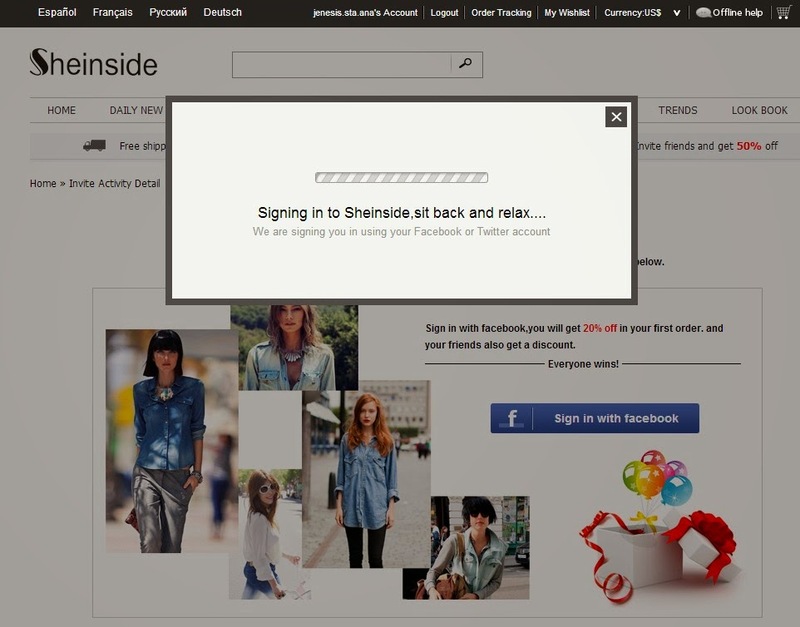 to know more on sheinside homepage then login your facebook to invite your friends!